otherwise, good cycle-ways. I was v.coldy. Some confusion on cycle-signed link NCN1 to local route 196. We are camping! 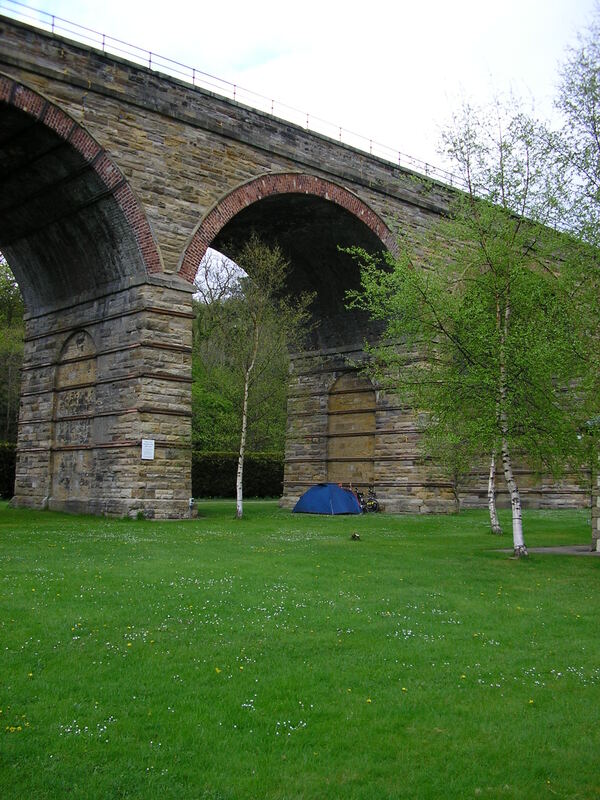 Underneath the arches at Lothianbridge Caravan Park, nice little site (£5) but very noisy next to A road. Gastro pub – The Sun Inn, opposite so we’ll eat in camp tonight – beer good tho’ – Gerry gone shopping … then cooked rice and “french” spam. All things considered – not a bad night’s sleep, great dawn chorus. come back by the time we were on a relatively windfree downhill with 10k to go! (They were very lightweight) But their cafe recommendation was valid – soups and sandwiches at the Whistle Stop, then booked into the Ronan Hotel (£70). Bikes put in the beer store. Apologies for a bath and not a shower??? 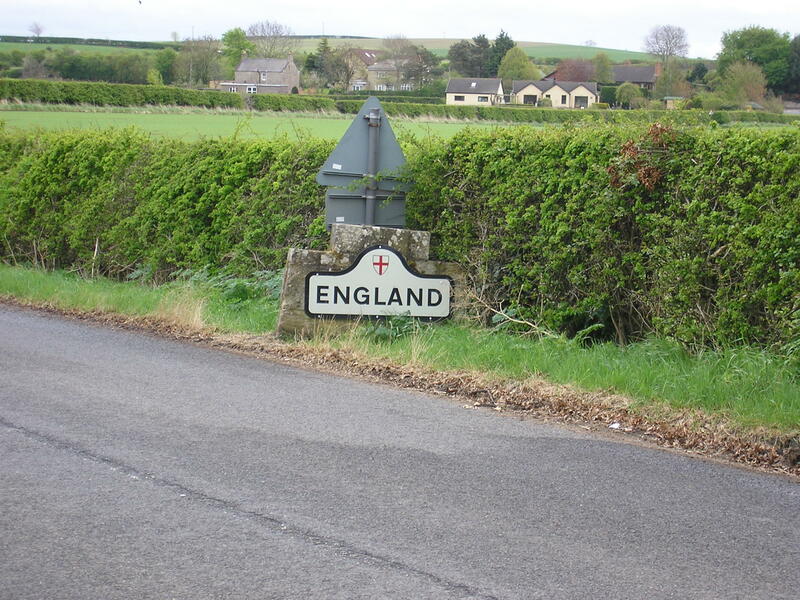 Will we make England tomorrow? Now on the Tweed. Supper at Fikos restaurant “next door”. Great run on NCN1 along the Tweed – 30 odd kms to Galashiels and Melrose – lunch by the river watching the fly fisherman. Brief stop in Newton St.Boswells after steep hill (gated wood) for drinks then on towards Kelso. 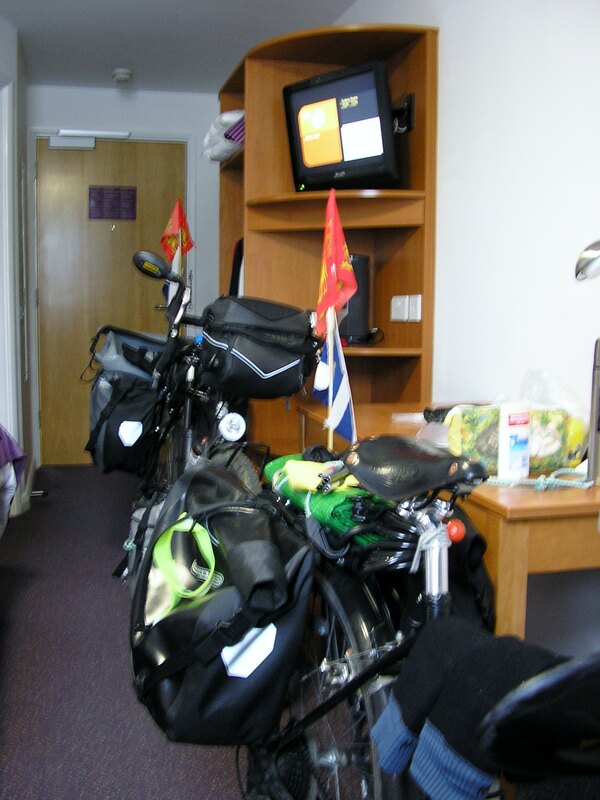 I was starting to flag a bit and then ran up the back of Gerry’s bike and broke the flagpole when joining the A6069. B&B full because of Country and Western weekend but sent on to Christine at Copper Beech, Springwood Bank. Very comfortable and overlooks Floors Castle (Roxburgh’s home), the Park, the river and the town. 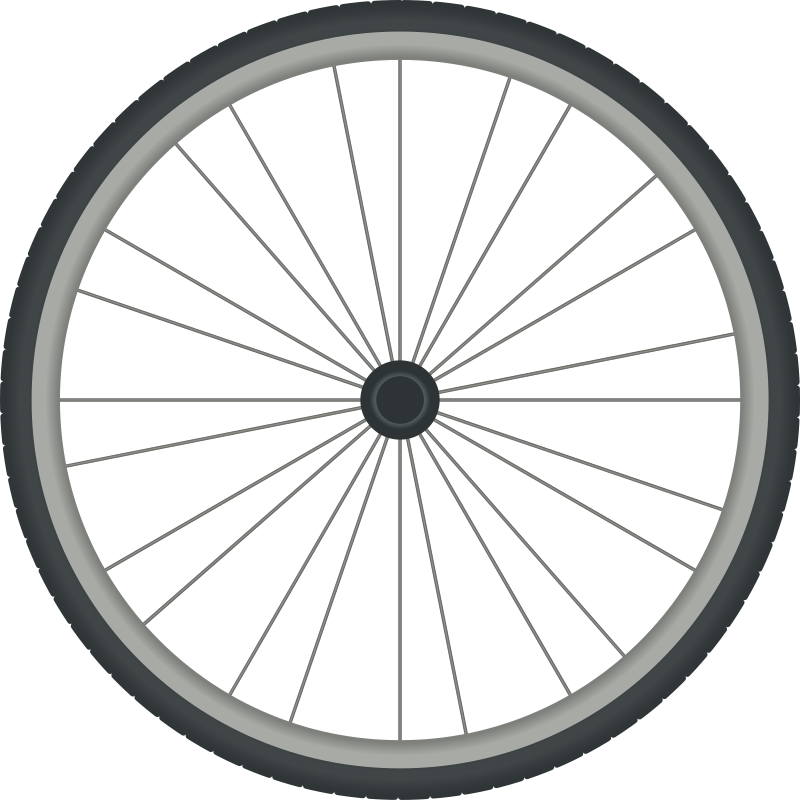 Supper at the Waggonwheel – beer,Twisted Wheel. Christine gave us a lift into town – v. kind and hospitable (£60). Gerry’s first black pudding. pie, from baker’s across the road, at Mason’s Arms (Pub is for sale) – somewhat gruff barman and cricket on TV – must be England. Decided to try for Wooler. Now on NCN68. Hairy riverside path to Etal (twee) with a weir. Getting windier. Ice-cream stall and plastic cow at Doddington Farm. Also bought cheese. Bike race/ride going on. Another riverside track then the 2 sides of a triangular route up and down to Wooler instead of the 2kms straight-line route. Bike ride finishing – marshalls directed us to YHA (£30 for room) Started life as digs for Land Army girls rooms named after specific “girls” – ours was Audrey, the Ratcatcher. Interesting little town with loads of pubs – ended up at Black Bull, good beer and “home cooked” food, especially Gerry’s cherry pie. Tomorrow “The Cheviots”? Funniest incident with the Gerry’s sleeping “bag” unfurling in the night. Let’s see what the weather brings tomorrow! Sunshine, cold wind, very bluster and heavy showers on and off over Otterbourne Ranges. 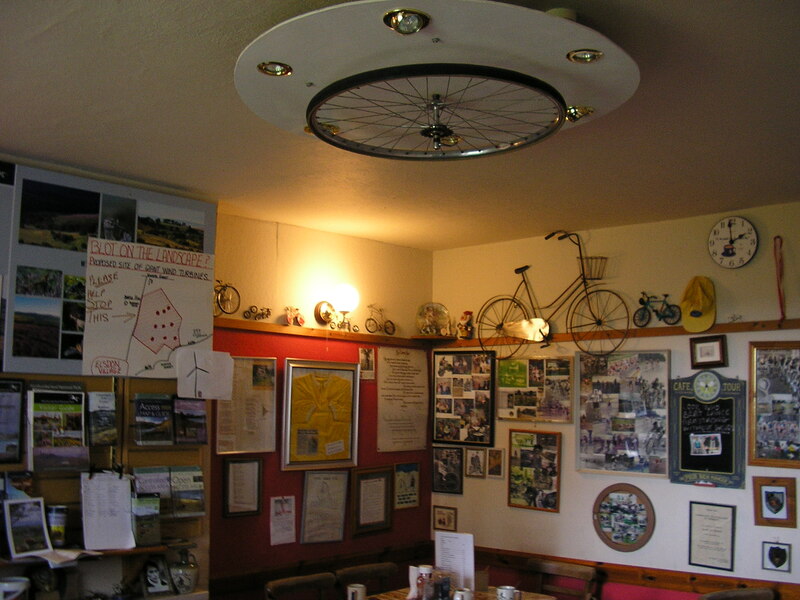 Made Elsdon for lunch – great stop at The Impromptu Cafe(Cyclists’ cafe) run by Alan and Marion for 35 years. Bird in the Bush pub closed on Mondays. Marion says “most unreliable” for B&B as well. Plodded (I was often on foot, but feeling better today) on to West Woodham chat with man on bike when stopped for 30k mars bar and on to Demesne Farm Bunkhouse Hostel in Bellingham (pronounced “Bellinjam”) Newly fitted out accommodation – “good old” farmer and son (£17 pppn) Got the sleeping bags again!!! No WiFi. Town has bike shop – I need a new mirror after bike fell over at Clennell Hall, where Gordon had made us fresh orange juice for breakfast and sandwiches for lunch – every time we prepare for lunch we find a great cafe like the Impromptu. Cooked own supper , WiFi at pub. About 10kms more to Hadrian’s Wall – loads of ups and downs – Gerry on the bike – me, sometimes on the feet! Definitely “Travels with a Bike” and “Travels on a Bike”! 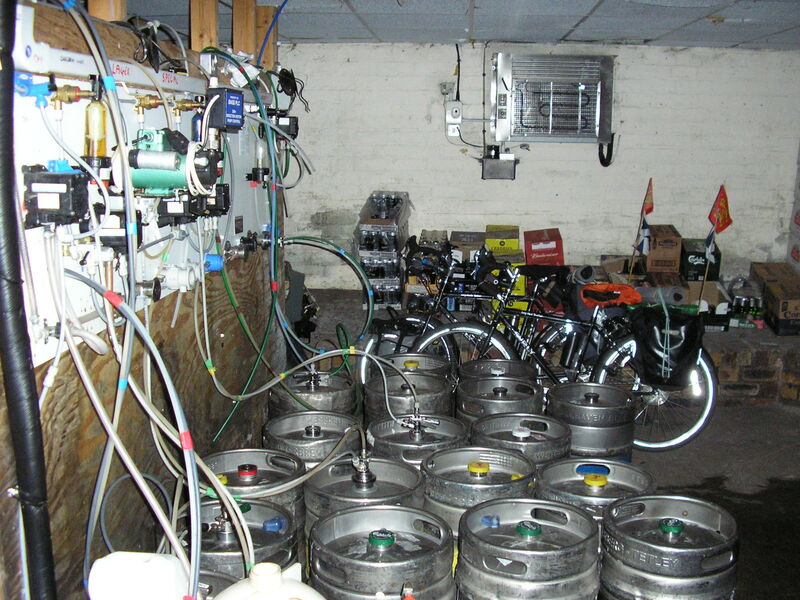 Took a few shots of the wall and coasted down to the Twice Brewed for the night. 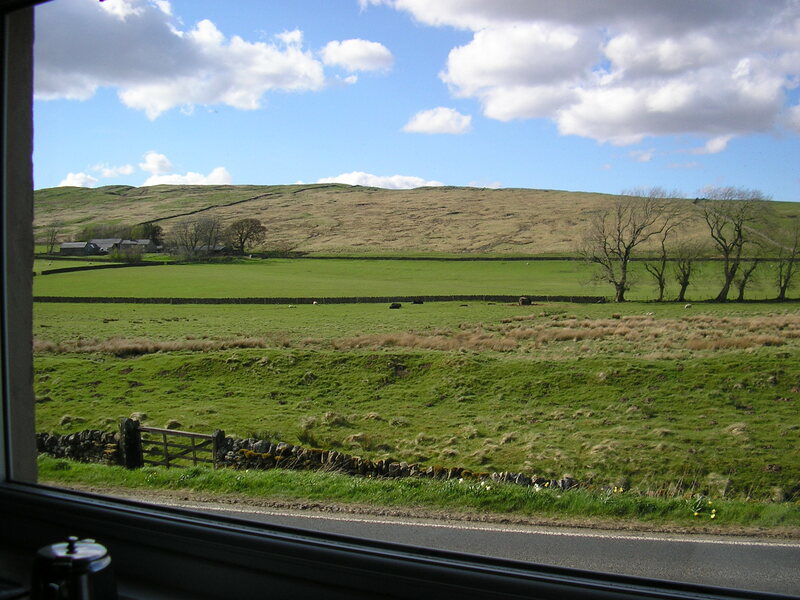 Wonderful panoramic view from the room along the wall with sheep and cows (only possible problem could be being right on the B6318 Military Road) Forecast for tomorrow not at all good. Made a decision to offload at Newark – Carole OK’d it. Hard start to-day – I struggled in wind and hill away from Twice Brewed. So wet and windy rain being blown back up hill at one point. Hired car after this wet and windy ride to Corbridge – very helpful and great Panini with fresh pineapple at the Wheatsheaf Hotel. Also good coffee stop in Newburgh at the Red Lion. Car from Tyneside Car Hire and arrived Newark at 7ish. Thanks to Carole & Keith for supper and bed and facilities to pack and unpack and store the massive heap of not-needed luggage inc. J’s top bag – all left in their garage. It’s sunnier in the South. Car back by 1145. Good ride out to Wylam along the Tyne (NCN72) Good shop and cafe for “lunchtea” at Wylam – found B&B above Bistro – En Glaze Cafe. Bikes in garden under motorcycle cover. Warm Showers in village but were unable to help. Will eat here and leave early for breakfast at the cafe. May regret that decision as the dinner was delicious!! Another business for sale as owners (motorbikers) want to go travelling. Consett – bits of rough track then a very “French” railway track to Lanchester – excellent cup of tea (and cake for Gerry) only £2.40 at Chippy and sandwich shop. Thermos from ASDA was rubbish (no stopper) so bought another in Lanchester. Rejoined railway line NCN14 and ran all the way through to Durham all downhill – stop for the Shetland pony, foal and Dexter calves – but then all change – no accommodation except very pricey Premier Inn – any relief on the river path short-lived as landslip had closed path at 2842 grid square. Only choice to push and climb up woodland path. Too hard for me – hero Gerry had really to do the lot (I did push a bit), finally found our way back to route and optimistically stopped at Gilesgate Moor Inn which said B&B but nothing left but sent us to another Premier Inn at the Moor End district of Durham. By now rain had started. Very helpful receptionist, £60 for room , not £82 as in the City, bikes allowed in the room and let in via fire exit. Forecast awful for tomorrow. Rain – total rainfall for May fell in Durham last night – forced day off from travelling. Cleared late afternoon. Bus into Durham – visited Cathedral, interesting and awe-inspiring. River running very fast – lots of debris and apparently more bankslips. Had good bread and cheese, strawberries and cream and cake in our room. Lunch in restaurant (£4.99 deals). So many confusing deals in the COSTA outlet restaurant.. Eurovision Song Contest – Denmark won. 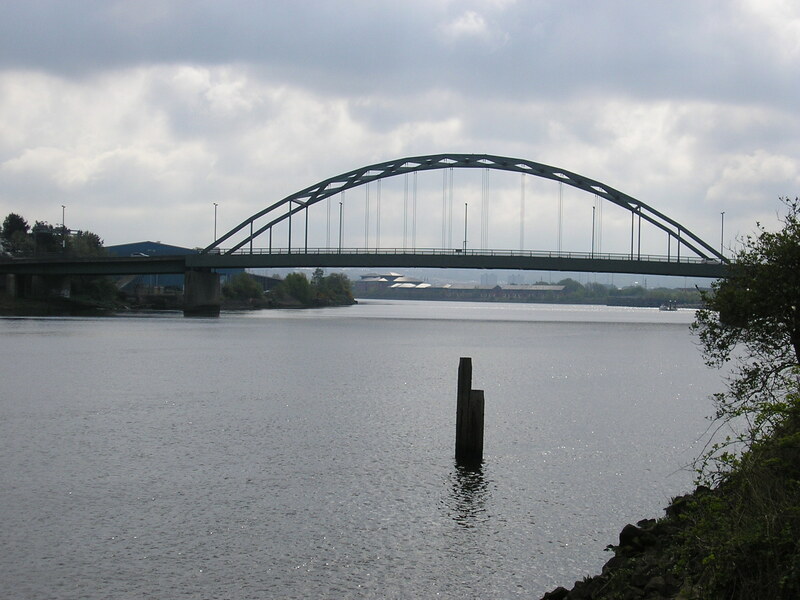 Aiming to get through Middlesbrough tomorrow – forecast good.